On one of the first flights that Sanjay Aggarwal took on SpiceJet, the low-cost airline he heads, he was given a sandwich packed in a flimsy box. Soon, he found that his lap was full of crumbs from the stale bread. "I did not feel like eating it," he recalls. That experience proved salutary. It played a part in the airline's efforts to upgrade the food served on board, an exercise that - among several others - contributed to SpiceJet's turnaround in 2009-10, the only listed airline to report a profit for the financial year. Though the bottom-line is modest (Rs 61.4 crore against a loss of Rs 353.2 crore in the previous year), the airline's numbers are noteworthy for two reasons. One, barring one quarter, SpiceJet made a profit in every quarter last year (the losses in the July-September quarter were on account of fare cuts in response to similar moves by Jet Airways and Air India which were trying to win back customers after they faced strikes). And two, other listed airlines saw revenues fall but SpiceJet, in which the politically well-connected media baron Kalanithi Maran recently bought a 37.7 per cent stake from London-based Kansagra family and US stressed-asset specialists Wilbur Ross, saw its top-line grow 29 per cent. Aviation analysts say SpiceJet's turnaround is principally on account of its low-cost fare structure that gave it an advantage as the aviation industry pulled out of the stall last year, growing 16 per cent to 89.36 million passengers after falling 11.2 per cent in 2008-09 (but growth was nowhere near the high of 23 per cent in 2007-08). And it is also true that the four low-cost carriers saw their market share rise to 50 per cent from 35 per cent in 2008-09 (unlisted low-cost leader IndiGo is also reported to have made a profit in the just-ended financial year). But SpiceJet also managed to grow its market share 20 per cent, from 10.3 per cent last year to 12.4 per cent, without adding capacity. Its flight back to profit was, in fact, as much a result of higher spending as of cutbacks. Here's what it did. Last fiscal, for instance, SpiceJet was able to grow passenger traffic 44 per cent, more than double the industry average. At least half this growth, says Aggarwal, who took charge in December 2008 at the height of the aviation slowdown, was on account of "sweating its assets more than usual" by increasing aircraft utilisation. This metric refers to the number of block hours that an aircraft flies in a day and is a key way for airlines to maximise revenue. 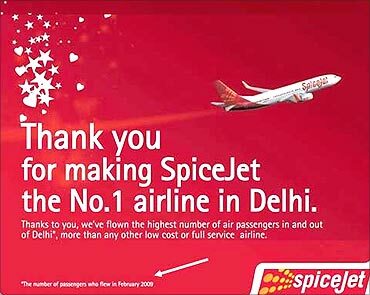 By focusing attention on ground-handling and refueling times, and re-jigging airline schedules, SpiceJet was able to raise aircraft utilisation to 12.5 hours a day from 10.5 hours in 2008-09 - significantly higher than Kingfisher's 9.5 hours, Jet's 10.5 hours and Air India's 8.5 hours. 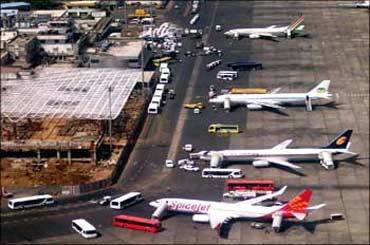 This alone helped lower SpiceJet's cost base. Today, as a result of better aircraft utilisation, SpiceJet's cost per available seat km (a measure of per-seat operating costs) is Rs 2.30, much lower than that of competing airlines like Kingfisher and Jet's which have around 60 per cent of their capacity in low-cost operations. Focusing on costs often entails more than just cutbacks. So although SpiceJet took such obvious steps as freezing salaries and curtailing non-essential expenditure, it also focused on maximising cost benefits. Globally, fuel costs account for roughly a fourth of an airline's expenses; in India, the proportion is much higher at about 40 per cent, mainly on account of the high local taxes that state governments charge. Managing fuel consumption, therefore, is critical to profitability. SpiceJet's solutions for achieving this were not strikingly novel in terms of industry practice but they do highlight the virtues of diligent cost management. One of the ways the airline did this was by focusing on what Aggarwal calls "smart flying". This involves getting pilots to adjust ascent and descent profiles to yield significant cost benefits. For instance, pilots were asked to ensure that aircraft travelling short distances did not climb too high and those flying longer distances climbed quickly (the broad rule being that the climb should be directly proportionate to the distance the aircraft is flying). Also, fewer "hard landings" lower the need for aircraft repair. Meanwhile, adds Aggarwal, there were benefits to be derived from sheer payment discipline. Several airlines owed the oil companies fuel dues - Air India owes over Rs 1,200 crore (Rs 12 billion) and Kingfisher Rs 800 crore (Rs 8 billion) - but Aggarwal says SpiceJet was able to embed a 15 per cent discount in the fuel contracts it negotiated by "paying its bills on time". Likewise for airport and aviation charges. The cutbacks are evident in the 14 per cent fall in expenditure on fuel in 2009-10. 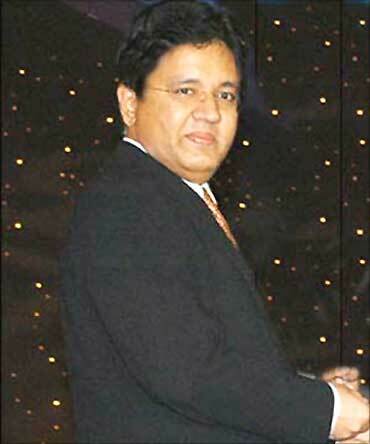 Image: Sanjay Aggarwal, CEO, SpiceJet. "Cost avoidance," as Aggarwal puts it, also helped. For instance, the airline saved about Rs 1 crore (Rs 10 million) by relocating its training simulators from Hong Kong and Dubai, and signing a three-year maintenance repair and overhaul (MRO) contract with Malaysian Airlines instead. In any service-oriented business, creating passenger preference can only be achieved through "product" and "people". Yet, one of the big challenges of running low-cost airlines is perception. "We had to prove that low cost does not mean low quality," says Aggarwal. Part of this challenge was addressed through SpiceJet's contrarian move of upping its marketing budgets significantly, but the perception problem proved a particular hurdle when it came to hiring and training people to meet Aggarwal's objective of creating a dynamic talent pool. Unsurprisingly, few people wanted to work for a low-cost carrier. "We were looking for people with energy and passion but discovered that we first needed to tell our own story of why we are a better place to work," he says. The exercise in selling the SpiceJet story and upgrading hiring requirements paid off in terms of SpiceJet's efforts to upgrade the food it served on board. On the basis of feedback from the cabin crew, the airline introduced a tea and coffee service when it became apparent that most Indian passengers demanded this, especially on morning flights. 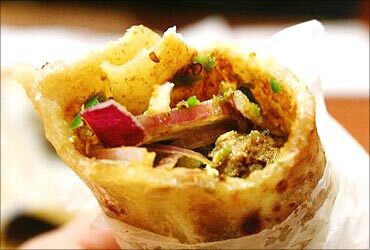 The airline also introduced kathi rolls on its snack menu and utthapams and parathas for breakfast after talking to cabin attendants. 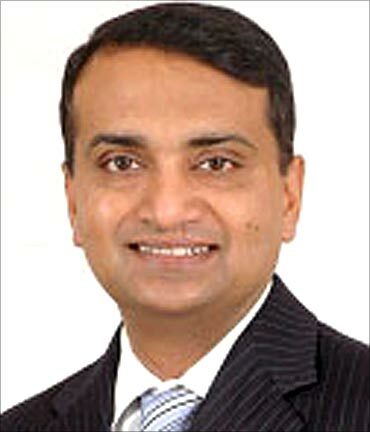 Negotiations with suppliers also ensured that the quality of food was upgraded so that Aggarwal's experience of stale, crumbling bread was not repeated. The result of this was a 200 per cent increase in food sales last year, though Aggarwal says this was partly on account of the higher number of passengers SpiceJet flew. Food sales do not contribute significantly to revenues - just about 1.5 per cent - but a decent on-board menu can ensure a high passenger conversion rate of as much as 25 per cent. Image: Better food on board. 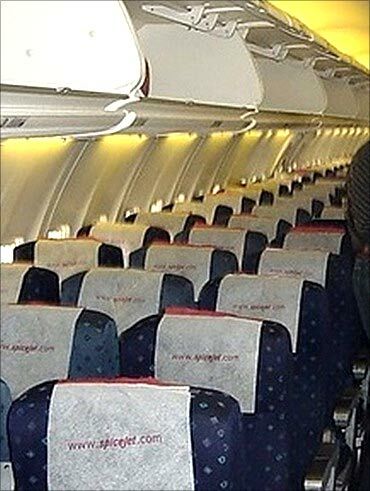 As part of the exercise of "fixing the product", Aggarwal says more people were hired to maintain the interior of the aircraft, carpeting on board was changed and equipment painted more frequently. Its fleet of 20 aircraft is washed every three days against once a week before. The rule of thumb was to cut expenditure where it made sense, Aggarwal explains, but not where it would harm the product. 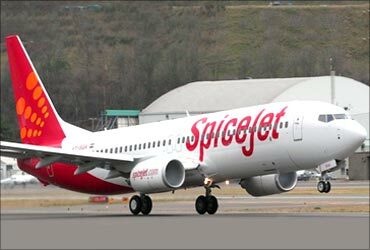 Analysts have suggested that SpiceJet found it easier to navigate itself back to profit because it does not have international operations like Jet Airways and Kingfisher do - international passenger traffic grew only 8.8 per cent last year. This is true for Jet Airways, for which international operations account for 59 per cent of its revenues, but less so for Kingfisher which derives just 10 per cent of its revenues from international operations. SpiceJet's biggest challenge, therefore, could be looming ahead as it gets ready for international operations from August, starting with short-haul destinations such as Male, Dhaka and Colombo (it has reapplied for regulatory permission for the last-named route after being turned down once). Aggarwal counters that the airline's international route choices will increase aircraft utilisation since, for instance, a Delhi-Chennai flight can add on passengers for an onward journey to Sri Lanka. 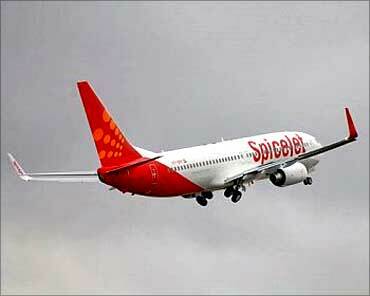 Still, given the slow-pick-up in international travel, globalisation will be SpiceJet's next big test. Passengers sit face-to-face in new airline design!